Hello there peeps!!! Did you miss me? 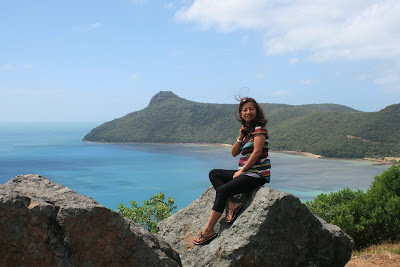 Oh well, we arrived today from HAMILTON ISLAND here in Australia for our 1 week holiday. 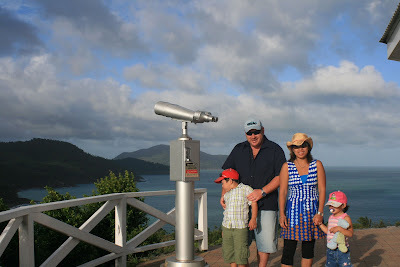 We (sis Joy and her family) actually left last Saturday lunch time in Sydney aboard Jet Star airplane and we arrived Hamilton Island in the afternoon. We stayed in a 2 bedroom apartment with in house amenities so we were able to cook our breakfast most of the times and do our laundry etc. It was really great to be there, we have done a lot of activities already such as island hoppin' at DAYDREAM ISLAND, kayaking, swimming at the pool, snorkelling at THE GREAT BARRIER REEF, go play mini-golf with the kids, go sailing on a boat and lots lots more !!!! The weather is a bit crazy while we are there bec. sometimes it rains, sometimes it is sunny and hot and most of the times it is windy. 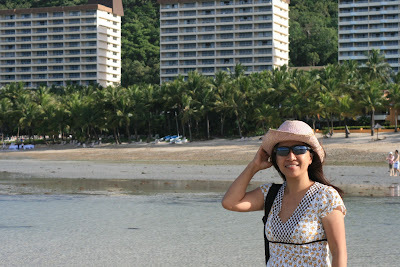 We usually go walking along the beach in the afternoon where it is low tide most of the times. We can pick up some shells, look at the baby crabs, took photos and just have fun!! Watch out for more pics! !